Whats left to build on? We all know there is limited space left in the city to build. For the most part we know what is going where. That being said there are still spots left that have no plans for redevelopment yet, and also some that are talked about but with no substance to what will actually happen. You can post in here what spots can be filled and with what. Even if the spot you propose has some type of plan in the works you can still post an idea that you think would be better fit. 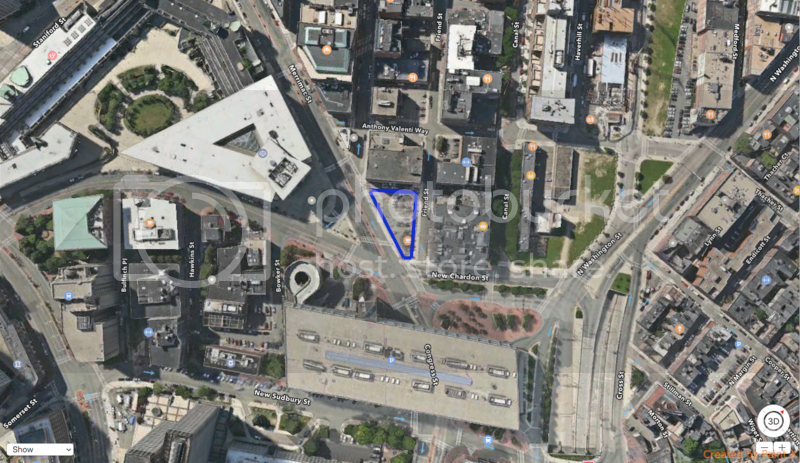 Triangle parcel next to Government Center Garage. FAA height limit is high, will be next to 600' tower. 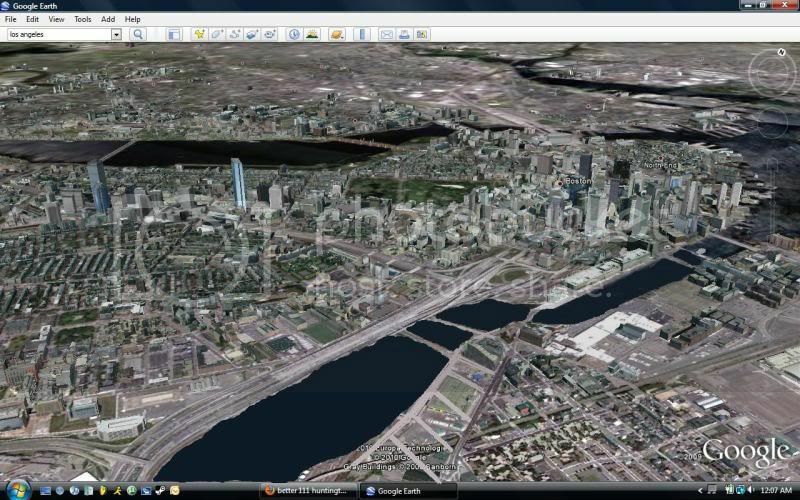 Also would fill in one of the last gaps in the waterfront skyline. Due to the support columns of the bridge I could only fit 2 platforms. The blue area could fit 3 towers going from short to tall stepping away from the waterfront. Retail along the street obviously. 3 parcel idea in the west end. Fort point South Boston side street grid expansion. 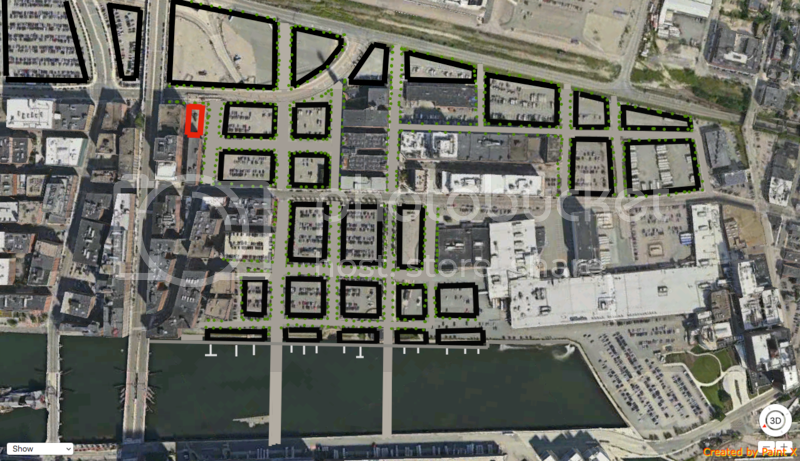 Fort point expansion, with expanded southie street grid. Hudson yards type build over the tracks. 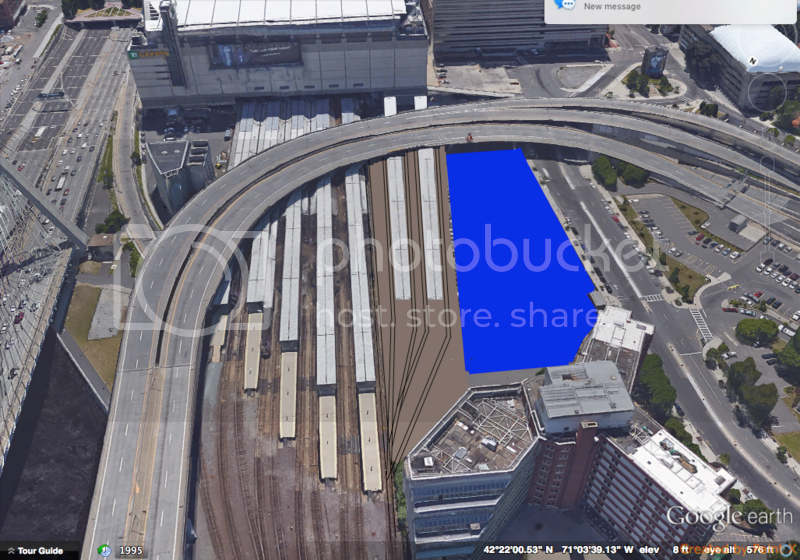 Another Hudson Yards type of development at south station with sunken tracks to expand the street grid. Partial restoration project of the south bay/fort point channel. Last edited by stick n move; 03-19-2016 at 07:50 PM. Re: Whats left to build on? Somewhere me and another poster had created developable parcels over the pike with the one way streets being extended on both sides with buildings in the middle. I will try to locate them. 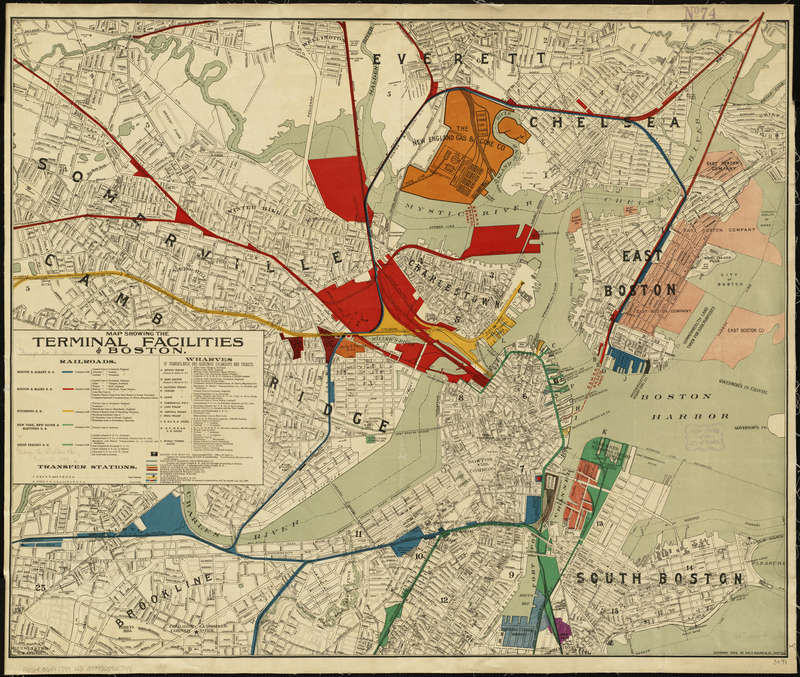 I think I have linked this before, but I have updated it some more so here is a link to my map of developable spaces in Boston. Are you only talking about downtown? 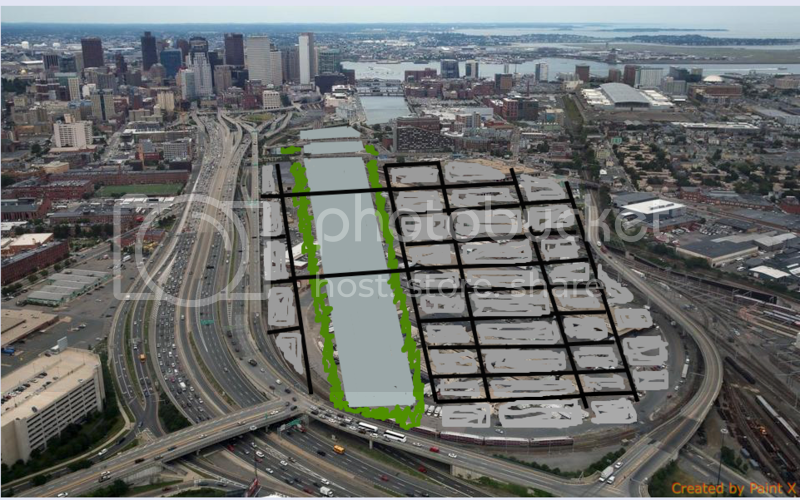 Because beyond downtown infill, this map of rail yards is pretty much the story of boston development for the next 50 years, just like it has been for the last 50. We all know there is limited space left in the city to build. That's really just a misnomer. There are plenty of parcels that can either be built on or densified. The list of unused city, state, and MBTA parcels alone is huge. Then you've got the whole Rutherford Ave, Melnea Cass, Fairmount, and Southwest Corridors. I'm not saying we don't need to pay close attention to smart land use, but we've got plenty of room to expand. +1 Also the idea that we are running out of sites to build tall on is not all that accurate as there are still plenty of spots even in and around downtown and Back Bay that can have more towers built on them. What intrigues me more are the many severely underutilized parcels. Specifically the abundant one-story retail buildings all over the place. If every one of them had multiple stories of dwelling units up above, that'd be many thousands of units, most of them close to transit and by definition close to at least some commercial activities. This has been discussed elsewhere at aB. The federal government is part of the problem with financing and secondary market rules (Freddie, Fannie, FHA) that dissuade this sort of thing unless there are more like twenty or thirty stories of residential up above. I'm referring more to the sorts of one-story retail that's surrounded by double deckers or triple deckers, so going that high would hit the NIMBY wall. Local zoning is also a problem, and then there's the practical problem that many of these sites are cash flowing just fine as they are, and the owners naturally don't want to kill a functioning business during additions up above or the full replacement stage (most of these structures could not handle additional floors, we're in general talking tear-down and replace here, not add up above). But seriously, scroll along the B or C line through Brookline and look at all the one story retail, and envision it with three floors of housing above. All the Newton village centers, ditto. 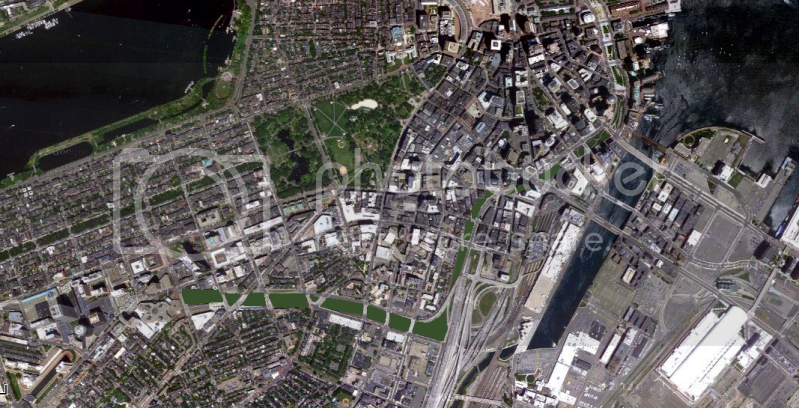 Town after town, Boston included outside of the inner core: the space being wasted is epic. Every additional decade where our intrepid planning institutions come up empty trying to get something built on Pike air rights is an additional decade where it's premature to be worrying about a lack of developable land near Downtown. We are nowhere near tapped out when the BRA, city, and state still manage to delay or outright thwart otherwise clean-and-obvious infills by virtue of still operating two hands around own necks way too much of the time. And where NIMBYism and professional concern troll Councillors + Legislators have little better to do with their times. Seriously..."creative land use" is still decades away from truly needing to be all that creative if we're simply talking about keeping the redev hot stove constantly hot. I'm more concerned about current dead zones like Beacon Park where Harvard is showing every indication of just squatting for another 15 years on a barren wasteland before arsing itself to get moving on anything. Their M.O. with Allston in general seemed to be to intentionally slow the pace from their institutional master plan as means of maximizing their leverage, and I just can't see how BP becomes anything close to a priority until they've slowly, deliberately churned through the rest of their key Allston holdings. This is a problem because there's no public mechanism--after the public institutions moved heaven and earth to help get them this real estate in the first place--to compel them to step up the pace and get that slab contributing economically sooner rather than later. This is, after all, where Millennium was a decade late in sprouting up because the developer decided to stab the City in the back holding the Filenes hole hostage to goose the land value. Where the City's impotent rage and inability to take effective action made them look worse than the unscrupulous developer. That was a very visible warning sign that the institutions are playing a weaker hand at pushing land use on valuable parcels than they by all rights should, and I don't think that vulnerability to exploits has been substantially addressed at any level. It certainly was a major contributing factor for B24's loss when the universities could just opt out of any planning participation with total impunity and tell the City to get bent. This thread goes hand-in-hand with the various "What to do about the BRA?" threads in that optimizing land use in the city is wholly dependent on optimizing (or replacing) sputtering public planning institutions that are still operating much too inefficiently with too high a whiff rate for sustaining last decade's boom times through a somewhat cooler economy. Do something about that, and then we can worry about scarcity or non-scarcity of parcels that could/should be used for something better. I like this idea, as improbable as it is. Anybody have an idea of the cost at full build and planning that would be associated with sinking the tracks at South Station? Thats actually the truest thing of all time. 1000% impossible. There's an extremely shallow-depth Pike-to-93S ramp tunnel that slips between the USPS building and tunnel vent building under the tracks, then immediately portals-up. There isn't more than 4 or 5 feet worth of space to sink before you're scraping tunnel roof. Hah. Was about to do exactly the same thing with just the West End, but this is better. "You cannot take in a whole Boston street with a single glance of the eye and then lose your interest because you have thus taken the edge off future discovery; on the contrary, every step reveals some portion of a building which you could not see before, some change in your vista, and some suggestion of pleasant variety yet to come, which not only keeps your interest alive but heightens it and persuades you to go on." Reviving this thread because stick referenced it in the Lovejoy Wharf thread and I can't help but feel like this should be a pinned thread in this sub-section of the forum. Going a little meta here: isn't this where something like http://courbanize.com can help broker the relationship between citizens, city, and developers in identifying sites for redevelopment? Also, I'd love to see this thread take off. Outside downtown and adjacent neighbourhoods, there are tons of 'missing teeth' and 'nose-less corners' as well as a litany of 1-story parcels that Matt Danish has also pointed out as a significant source of under-utilised land in the urban area. Maybe we can create a shared map on Google to collect all our ideas in one place? 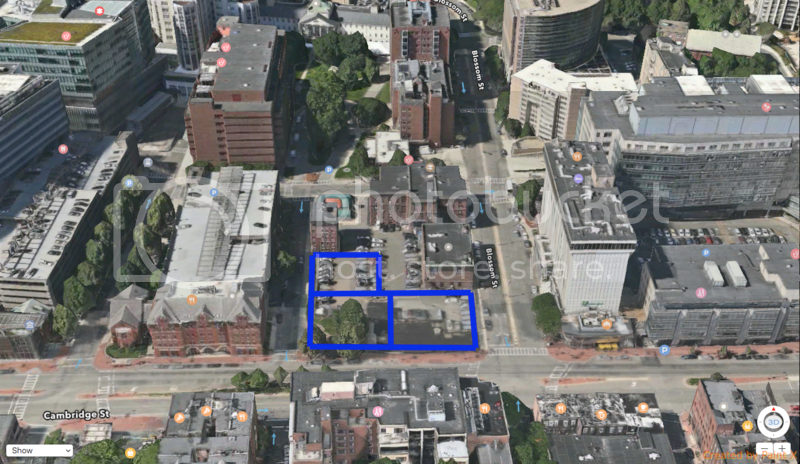 Even if you keep most of the green space of Thoreau path as a pedestrian only mall and limit new tall buildings to the North side to prevent shadowing the space, then there is plenty of room for a couple of 800 to 900+ footers and a neighborhood's worth of low rises/retail. I'd start with the Blossom St curve. There is probably room for a few low rise buildings there where there is just some dense and ugly landscaping in front of and around the two level garage. You could even keep some of the trees, just thin them out a bit. I'd go for some faux old West End style buildings around there. The inner belt/brickbottom neighboorhood in Somerville next to Northpoint in Cambridge would be a great location for some high rises or other forms of dense development. It is currently an industrial wasteland with mostly one story office/industrial space. With the green line (fingers crossed) it will only be 2 stops from north station. This would afford it easier access to downtown Boston than Fenway and the Seaport. It is also near the Sullivan Square orange line station in Charlestown, another underutilized area ripe for redevelopment. Just found a link that describes long term plans for mixed use development and other improvements in the Innerbelt area. I saw that my thread had a new post and I thought jesus here we go...but you guys actually understand what I was trying to say. There are plenty of spots left to build, this thread is just about weaning out some new spots that do not have a proposal yet/are not in the discussion. Plans to further push industry out of the metropolitan area a bit concerning. Maybe Boston and the metropolitan area can focus our economy on things that don't require industry. And less labor intensive industry can just relocate to areas with lower land values. But to eliminate industrial areas means fewer jobs and less diversity in the local economy. I don't think we should dismantle our industrial infrastructure with too much haste.